Carolyn McAllaster, the Colin W. Brown Clinical Professor of Law and director of the HIV/AIDS Policy Clinic, will receive the NC AIDS Action Network’s Advocate of the Year Award for 2018. The award is presented annually to an advocate who has made a meaningful and lasting impact in their advocacy on behalf of people living with HIV in North Carolina. 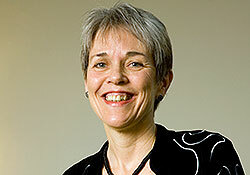 McAllaster, who in 1996 founded Duke Law’s Health Justice Clinic (then known as the AIDS Legal Project), also serves as project director for the Southern HIV/AIDS Strategy Initiative (SASI), advocating for increased federal resources to stop the spread of HIV in the South, which has the highest rates of new infection and HIV-related deaths in the United States. She also engages in national and global policy advocacy.